“There is a danger when politics enters the judiciary,” warned Judge Sławomir Jęksa in his summing up of his decision to accept the appeal of a woman who had been charged for using offensive language at a rally. She had, he reasoned, not only been entitled to express herself in the way that she did, especially since she was expressing genuine concerns about the encroachment on human rights in Poland. Days after his ruling, Judge Jęksa found himself at the receiving end of just the sort of political interference of which he had warned. The Disciplinary Prosecutor started proceedings against him on the grounds that his ruling was an “expression of political opinions” and “an offence against the dignity of the office of the judge." Judge Jęksa does not have much faith in the disciplinary procedure which will take place in the Disciplinary Chamber of the Supreme Court. The Disciplinary Chamber is a special body whose members were chosen by a body formed of politicians from the governing party. He is just one of several judges facing similar pressures. More than a dozen judges have faced disciplinary proceedings since last autumn. These may result in sanctions, including their dismissal from office. Some of the more outspoken judges who publicly expressed their opposition to the government’s interference with the judiciary have even received death threats. This is all happening in the context of a wider smear campaign against judges that have upheld decisions in defence of human rights that began in 2017. Judges are constantly portrayed as “enemies of the people” who “damage the interests of Poland.” Pro-government media and social media accounts have gone as far as invading their privacy by regularly publishing their personal information, including details about their sick leave and their trips abroad. Despite this, judges in Poland continue to organise and collectively resist the pressures from the government. “For the first time in our careers we have to stand our ground and show we are not just civil servants, but the authority that protects legal order,” Judge Dorota Zabłudowska told me. But the ongoing struggle over the independence of the judiciary in Poland is not only about them. It is a fight for human rights that ultimately affects everyone in the country and indeed in Europe. In a significant move yesterday, the European Commission launched an infringement procedure to protect judges in Poland from political control. It is clear that by failing to protect judges from political interference, the country’s disciplinary regime not only undermines judicial independence in Poland but puts the enjoyment of human rights at risk and threatens the functioning of the EU as a whole. The chilling effect of the abuse of this already flawed disciplinary system is real and this has now been called out by the Commission. Member states should back this step and call on Poland in the General Affairs Council next week to end the harassment and intimidation of judges. This decision draws an important line in the sand and makes clear that interfering with the independence of the judiciary cannot and will not be tolerated. Allowing one member state to operate outside the rule of law would be to allow the entire system to be contaminated. Speaking to me in Poznań last month, Judge Jęksa said: “If I will get disciplined for doing my work, no judge in Poland could feel safe.” But the principle that the judiciary should be free from interference by politicians is not just there to benefit judges. It is there to protect us all. 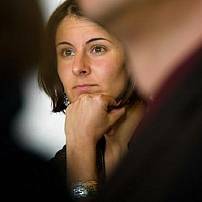 Barbora Cernusakova is Amnesty International’s Poland researcher.